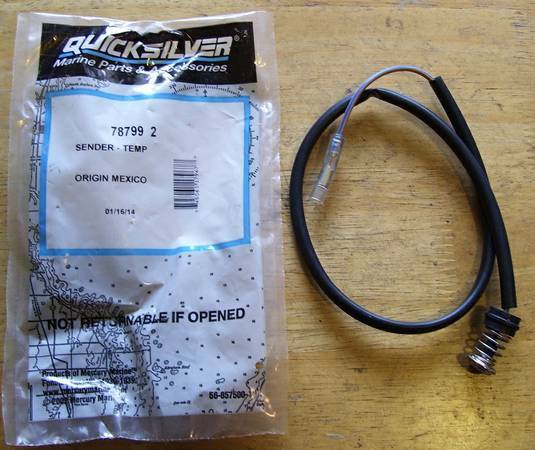 This is a new Mercury/Quicksilver 78799 2 temp sending unit for 50 60 65 75 80 90 100 115 125 Hp engines from the 90's through early 00's. I thought my sending unit was bad so I bought a new one and it turned out to be my overheat/oil module was bad. $45 609 five tree zero 9681.